Chinese Horoscope 2019 for Goat indicates that these natives will focus their concentration on achieving financial and personal stability throughout the year of the Pig. In order to achieve success in their endeavor, they will have the help of the different planets. The Goat’s effort to secure a better future and live without hardships will be the highlight of this period. Throughout it, you will be presented with different opportunities that will allow you to make great changes in most areas of your life. In order to be able to achieve all that you have set out to achieve, you will have to keep all your emotions perfectly under control and you will not have to commit to those situations that you are unable to finish. Above all, the Goat must apply this to the months of October and November, always with the main objectives in mind, avoiding any kind of distraction. Those who have been born in the years 1907, 1919, 1931, 1943, 1955, 1967, 1979, 1991, 2003 and 2015 are part of this Horoscope. The most favorable months for life with your partner will be the period from February to November. Therefore, it implies a good year for the sentimental relations. Chinese Horoscope 2019 for Goat predicts that singles will see their love bond becoming stronger with a partner they will meet this year. They will surely meet this person at a music festival or at a social event organized by friends. It will be a good time to carry out all those great projects, which in previous years you had not been able to do. This is the opportunity you were waiting for to apply your creative and innovative skills in the enhancement of your projects. The determination in the objectives to realize will arrive at the expected result. Profits will be abundant during 2019. It will be very interesting to dedicate the months of September and October to analyze the accounts and thus prepare an effective strategy for the future. Perhaps it is the most opportune moment to look for potential investors to finance these future projects. The family will bring you many joys, with children making the most positive contributions. In fact, the family will be the point of support of your professional career in the last period of the year. 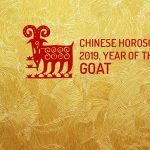 Therefore, the Chinese Horoscope 2019 for Goat predicts Goat natives will keep their emotions under control and do not waste time on commitments you know you will never be able to fulfill.